The use of alcohol to depress the effects of pain is as old as the fermentation process itself. 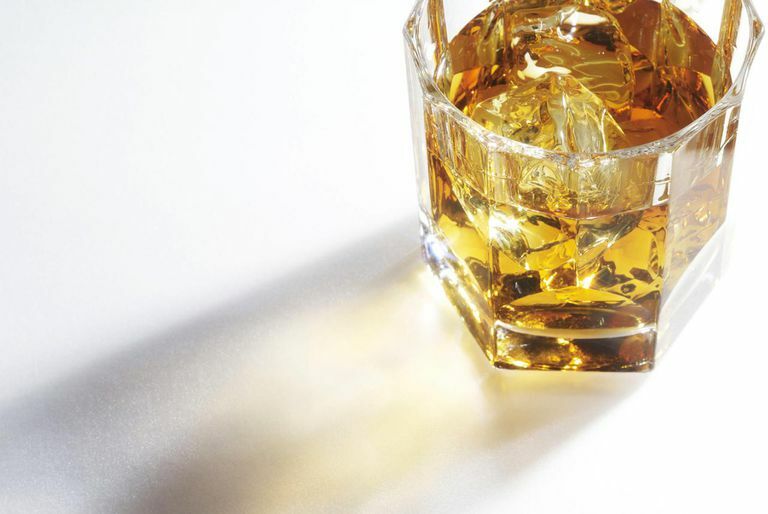 Alcohol is believed to be one of the oldest and probably the most widely used drugs in the world. Have you ever watched old Westerns? Somebody needed a leg amputated? No anesthesia? No problem. Break out a bottle of whiskey and take a few swigs. Need to pull that arrow out of the guy's chest? No need for morphine, we have whiskey. In real life, many people still turn to the use of alcohol for pain relief due to its ability to depress the central nervous system. By slowing down the brain and nervous system, alcohol delivers a certain amount of relief. The continual use of alcohol to lessen pain can cause problems if the amount of alcohol used becomes excessive and if it is used in conjunction with other pain-killing drugs. One problem is that the body begins to build up a tolerance to the effects of alcohol. In other words, it takes more alcohol to produce the same results over time. Even without the tolerance factor, the amount of alcohol it would take to actually relieve severe pain would probably be more than the recommended guidelines for safe alcohol consumption. Ingesting an excessive amount of alcohol over an extended period of time can cause its own set of health problems, including everything from stomach ulcers to life-threatening liver ailments. Besides the long-term health problems that can develop, a prolonged use of alcohol can lead to a chemical dependency on alcohol itself, which can bring about a whole set of problems of its own. Those who suffer from chronic pain can face more immediate problems from the use of alcohol, if they are taking some other form of pain-killing drugs including over-the-counter medications, like Tylenol (acetaminophen). Most of us are aware of the dangers of mixing alcohol with other depressants like tranquilizers, but the labels on almost all over-the-counter pain relief medications contain warnings concerning their use along with the use of alcohol. Alcohol and aspirin can damage the stomach lining. Alcohol and Tylenol can increase the risk of damage to the liver. Alcohol and Advil (ibuprofen) can cause ulcers and stomach bleeding. Impaired central nervous system function. Possibly fatal in certain strengths and combination. Possible irritation and bleeding in stomach and intestines. Decreases alertness, impairs judgment. Possibly fatal combination. Greatly increases drug&apos;s potency, depressing central nervous system. Very possibly fatal. Should never be combined. Drowsiness and loss of alertness. Severe and unpredictable reactions. Should never be combined with alcohol. Can cause nausea and vomiting. Renders medication less effective. Increases potency, reducing blood pressure to dangerously low levels. Increases the anti-coagulating potency of drugs, leading to potentially life-threatening bleeding. Simply put, there just are not many medications out there that mix well with alcohol. If you are a drinker and taking any other medication, play it safe and ask your physician about the possible side effects.